Former U.S. 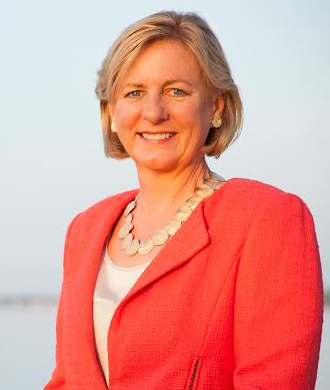 Ambassador Nancy Soderberg met recently with the Jacksonville Women Lawyers Association to “help make sense” of wars, the economy and politics. Soderberg, who held several senior level positions within the Clinton administration and is a visiting distinguished scholar at the University of North Florida, began her talk with the conflicts at home and abroad. She believes the war in Iraq “is going to work out pretty well,” although she said history will debate its justification. Former President George W. Bush began an exit strategy that President Barack Obama has maintained, she said. Afghanistan is a different story, she said. With few troops and no sign of a new generation of leadership in an area with a corrupt government, the situation requires investment to return to stability, she said. The war against terrorism is in the forefront of people’s minds, but it’s also one being waged with success, she said. “The war on terrorism is the war against al-Qaida network, and we’re winning,” she said. Soderberg compared the leadership changes within the organization to a “whack-a-mole” game but also said the methods of winning the war could be subjects of legal question. One war not as prevalent but “a real threat” is the cyber war, she said. “Everything we do now, we do on computers,” she said. She said the continued economic crises in the U.S. and Europe are not causes for optimism. “We’re obviously not getting it right,” she said. She said Obama inherited much of the situation. Soderberg also said struggles in the European markets are cause for alarm. “Europe does too little, too late,” she said. She believes the backlash will blow back on the U.S. “very hard” and there is not much Obama can do about it. Soderberg referred to Brazil, Russia, India and China, collectively known as BRIC, as economically evolving to match the U.S. in the next several decades. “We are the biggest superpower, but no longer the only superpower,” Soderberg said. With her background, Soderberg also weighed in on the 2012 presidential election and recent sexual harassment controversies plaguing Republican candidate Herman Cain. “He’s rapidly imploding,” Soderberg said. She believes the Republican nominee will be Mitt Romney. If so, she also believes there’s a “real chance” Romney will select U.S. Sen. Marco Rubio, a Republican from Florida, as his running mate. With many debates and almost a year to go, Soderberg said nothing would surprise her leading up to the election.